This will be one the last releases before moving to the new 1.9.x development, heading towards PDFCreator 2.0 with our complete .Net rewrite of the application. The VB6 version will still be maintained, but bigger features will most likely not be added anymore. 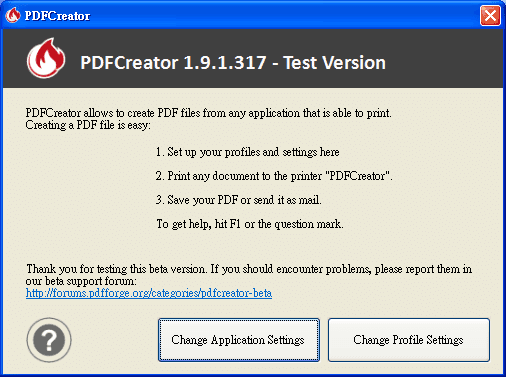 目前 PDFCreator v1.9x 並沒有等待選擇(Wait Collect)功能，也不知道正式版是否會提供(論壇上已經有人提出此需求)?